Africa has for long been a favoured hotspot for tourists from all over the world owing to its rich wildlife, picture-perfect landscapes and diversity. The continent is much more than just a desert with an unbearably hot climate, and in fact, houses a multitude of tourist attractions ranging from Uganda safaris to beach-side fun in Seychelles. South Africa is one of the few remaining places on Earth which has retained its culture after being touched by different people and remains a wholesome experience for all who visit this continent. It is a perfect balance of a modern destination with luxury resorts and facilities on one hand and a true wilderness experiences on the other. Africa’s outback is as pure and pristine as ever and one must visit Kruger, Sabi Sand, Madikwe and more while in the continent. South Africa is home to varying landscapes which is a photographer’s paradise and some of the main attractions include Cape Town, Johannesburg, Sodwana, Camp Bay and many more. Africa is storehouse of some of the most beautiful ecological gems in the country and Botswana leads in this segment. Also referred to as the Jewel of the Kalahari, the Okavango Delta is an idyllic oasis which is full of varieties of flora and fauna. Botswana gives you the freedom to travel on foot, by boat or in a mokoro amongst the winding paths of wild date palms, mangroves, acacias and other flora. Some of the most widely spotted creatures here include buffalos, elephants, reedbucks, impalas, zebras, warthogs, hippos and others. You cannot end your holiday in Africa without paying a visit to Kenya, which is a land where all your traveling dreams come true. 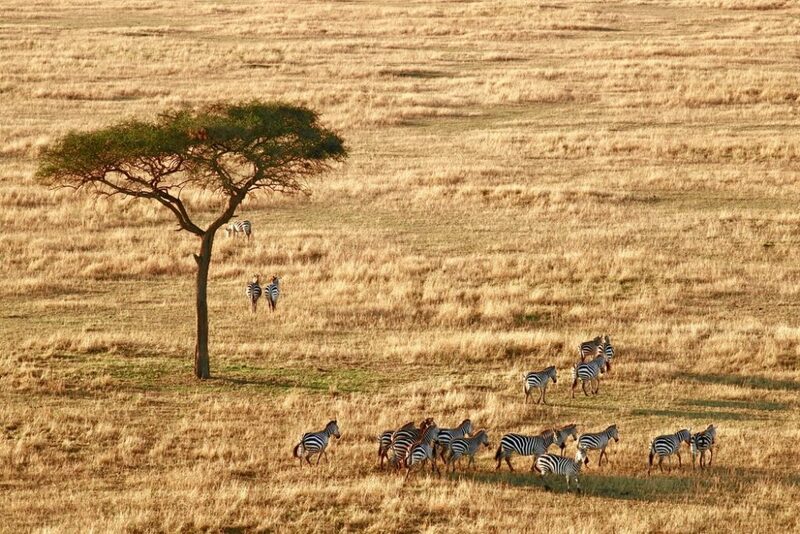 Whether it is the sound of millions of wildebeest and zebra hooves or the swaying palm trees in a backdrop of clear blue skies, Kenya has everything that makes a vacation successful! The Great Migration is an amazing safari experience which makes even the most disinterested guest in wildlife fall in love with the country! Namibia showcases the stunning beauty of its desert landscape which one can experience in the Kalahari desert and Namib desert. It dates back to approximately 80,000,000 years, and hence is one of the oldest deserts on Earth. It offers truly a great insight into various animal species at the Namib-Naukluft National Park. Namibia is a place of interesting landscapes, where vast expanses of sand dunes shine in the backdrop of magnificent mountains. Seychelles has gained popularity in the last few years, especially as a glorious honeymoon destination. This archipelago of 115 islands boasts of sparkling water and fine sand beaches supplemented by awesome rock formations which creates an exceptional seaside destination. Now that you have reasons enough to head to this beautiful continent, why not get down to planning your itinerary and making your bookings!